Colombia is an incredibly diverse country. 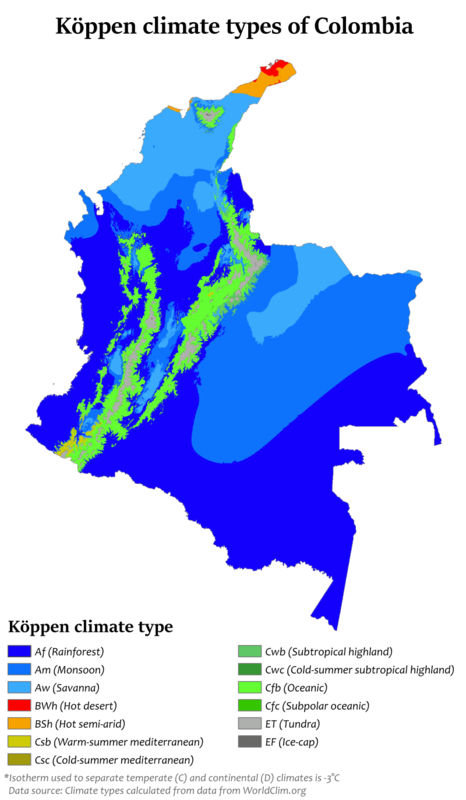 The country boasts 13 distinct climate zones from desert to ice-cap, mostly determined by elevation. In comparison, Canada, a country almost 10 times as large, has only 7 climate zones. On our trip to Colombia in 2018, we were most interested in exploring the highland to ice-cap zones. 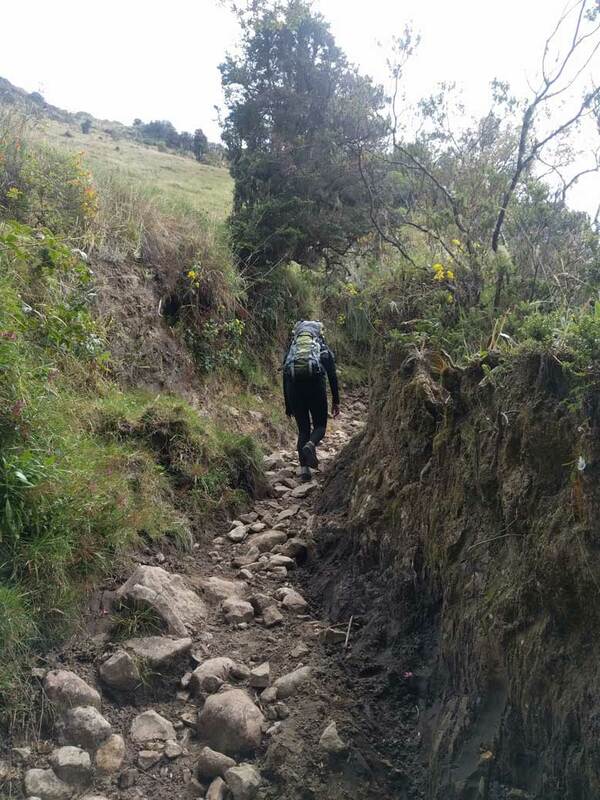 In Salento, we hired a guide who would lead us on a hike through Los Nevados National Park. 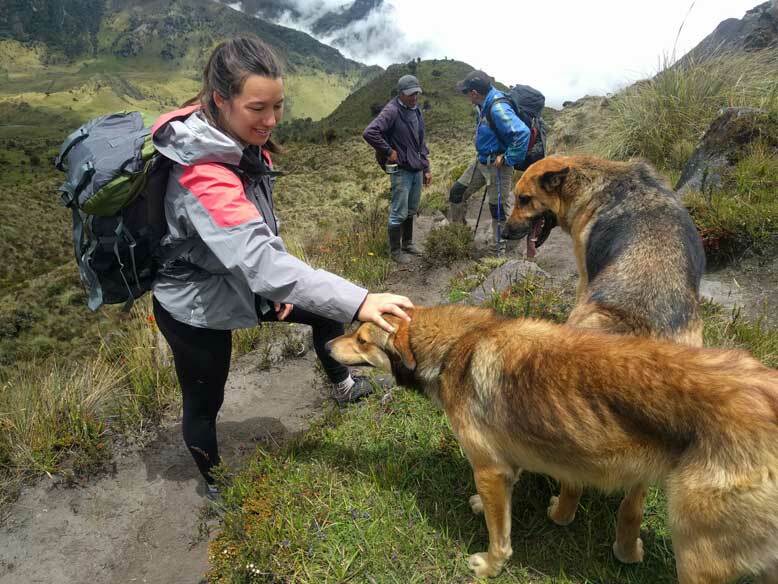 The park encompasses three snow-capped volcanoes: Nevado del Ruiz, Nevado de Santa Isabel and Nevado del Tolima. It was billed as a moderate hike with distances of 13-18 km per day. As such, I decided lightweight running shoes would be adequate footwear. I would regret that decision. The first day was relatively easy. After being picked up from the airport, we stayed at the La Laguna Breakfast Hostel. The next morning, we climbed from an elevation of 3,650 to 4,700 meters over a well traveled trail to the Nevado de Santa Isabel glacier. Only a distance of 4 kms but with the elevation, it felt like double that distance. Most of our group came from various Latin American countries and as they rolled around on the glacier, it was clear some had never seen snow. It was certainly a novelty to see snow so close to the equator but we were anxious to get into the park proper and away from the tour groups. The second day was just me, my daughter Natalie and our guide, Javier. 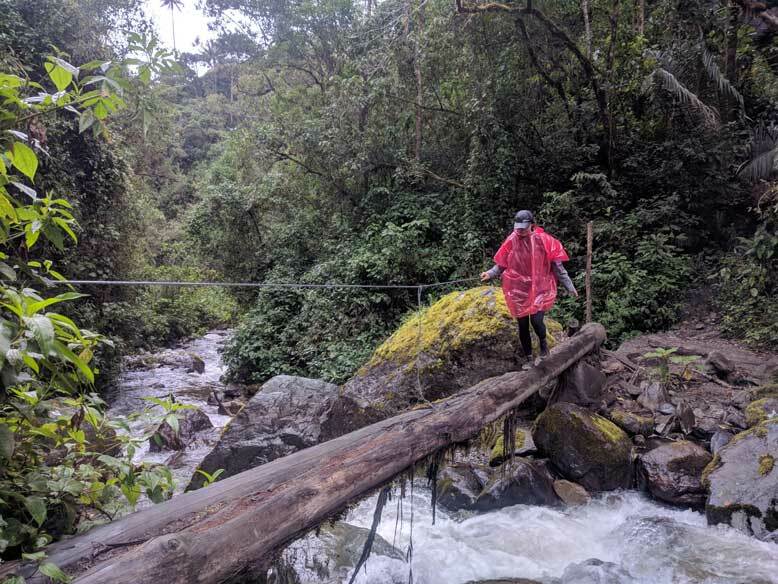 The day was spent hiking through the paramo ecosystem. This is an area above the treeline but below the permanent snowline and features low shrubs and stands of frailejones. With a thick trunk and a flowery top, the frailejones look like cactus but are actually part of the sunflower family. 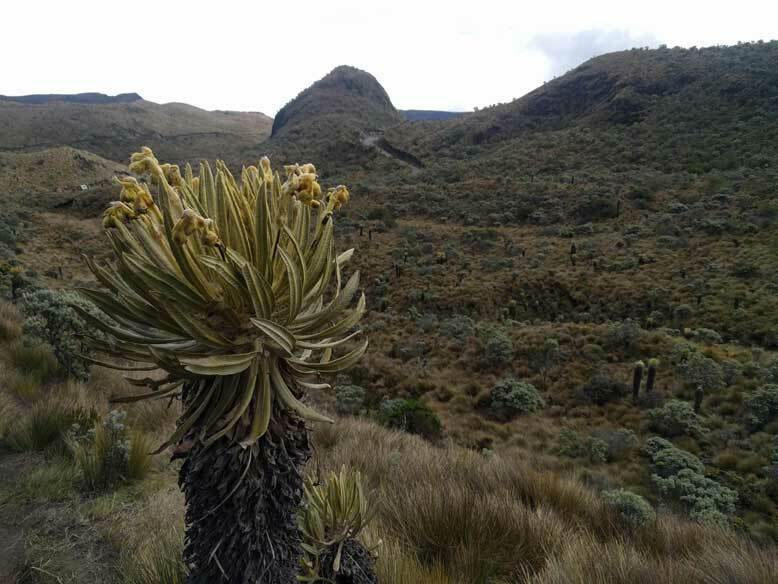 These beautiful plants are endemic to the Andes and grow very slowly. They are purported to be essential for regulating soil and water quality because they harvest and store water from clouds. This water eventually makes its way to the lowlands and supplies the cities like Bogota and Medellin. We were careful not to disturb these plants during our hike. 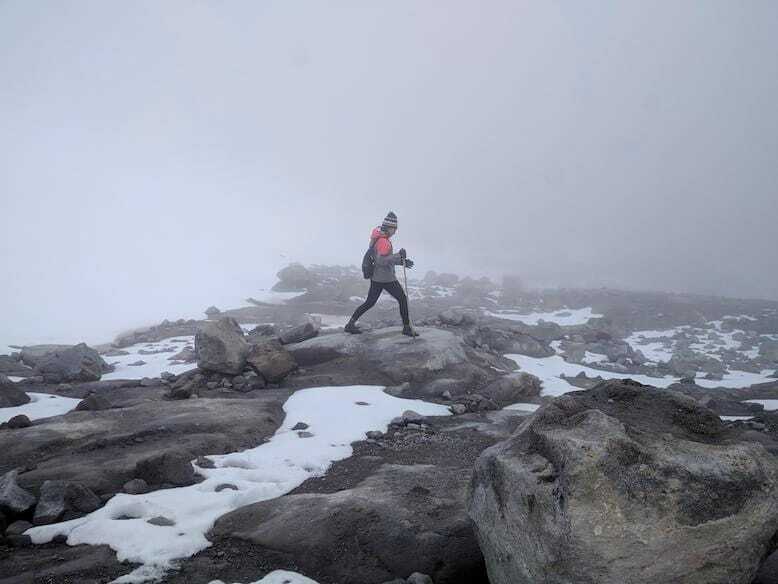 The ecosystem at 4000 meters is stark and clearly unforgiving. 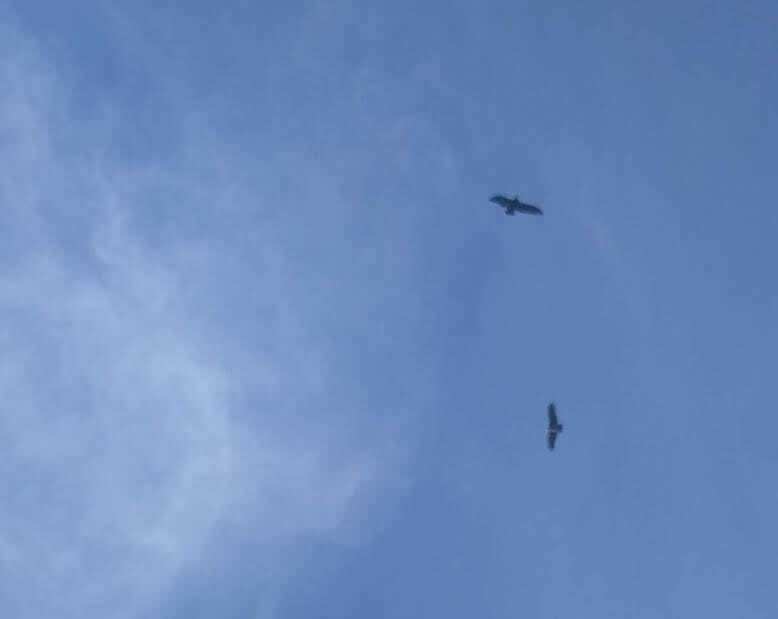 There isn't much in the way of wildlife but we did see condors soaring far above our heads. The Andean Condor is a threatened species and it was a thrill to see them in the park. The trails we followed were clearly well used. Unlike the parks we were used to in Canada, Los Nevados is not a pristine wilderness. Farmers continue to work their properties within park boundaries and exercise their right to graze and move cattle throughout the park. We ended our first day at a local farm near the Berlin river. This was to be our overnight accomodation. It was clear that this was no dude ranch but a working farm. 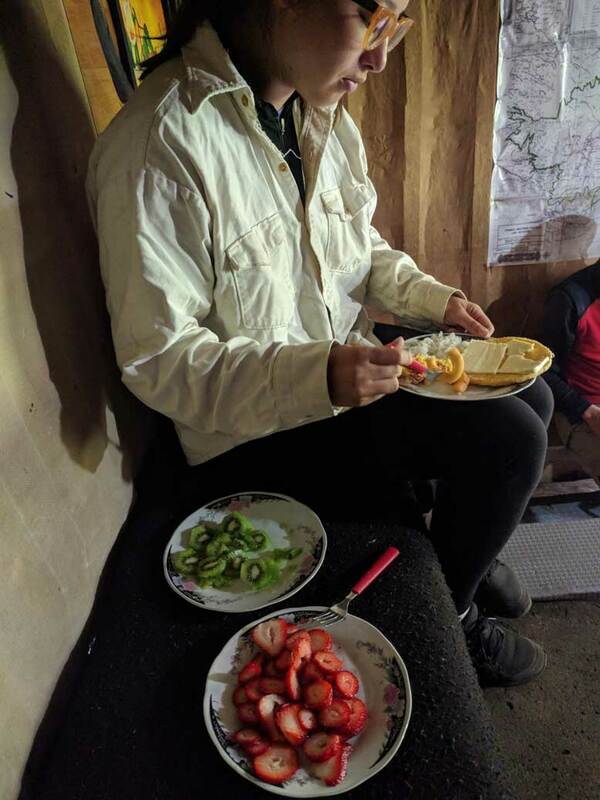 The men were out in the fields and Maria, our host welcomed us with hot chocolate and tea. Electricity came from a solar panel, only enough to power a couple of light bulbs and a radio. The radio was the only form of entertainment. Heat came from only one source - the wood stove. It was a basic arrangement with an iron top and three sides of brick. Wood was fed into the one open side. Benches were built into the wall around the stove. This was the best seat in the house and we were invited as guests to sit and stay warm. 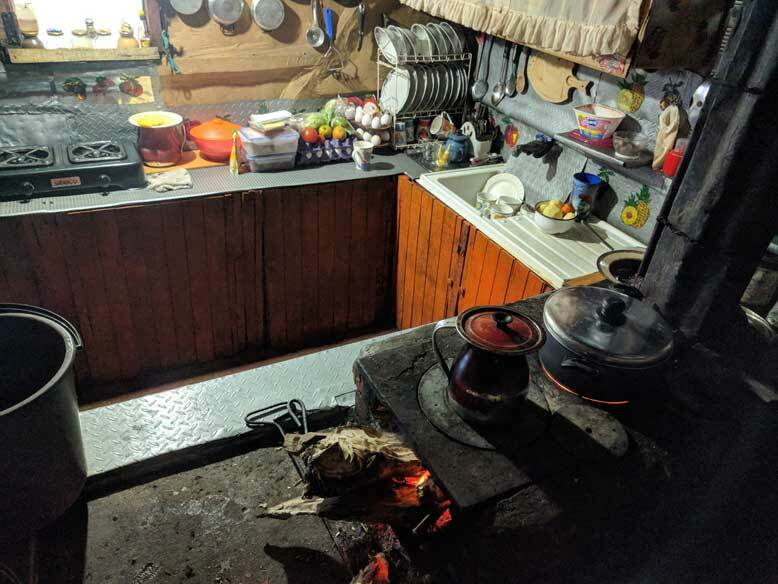 It was fascinating to watch Maria prepare a simple but delicious dinner of chicken soup (Colombians love soup), fried peppers, patacones (fried green plantain) and fresh cheese. I noticed that Maria didn't even own a cutting board. She skillfully cut all her vegetables in her hands. Just before dinner, the two men of the house came in from the fields - Diego and his brother, Samuel. They were young, perhaps in their early 30s and deeply tanned. The sun is strong in the paramos and there's no such thing as sunscreen. I couldn't help but notice that Diego and Maria's 12 year old son did nothing the entire time we were there. Didn't help with chores at all. He just played with his dog. I guess there are spoiled kids everywhere in the world. We went to bed not long after dark. 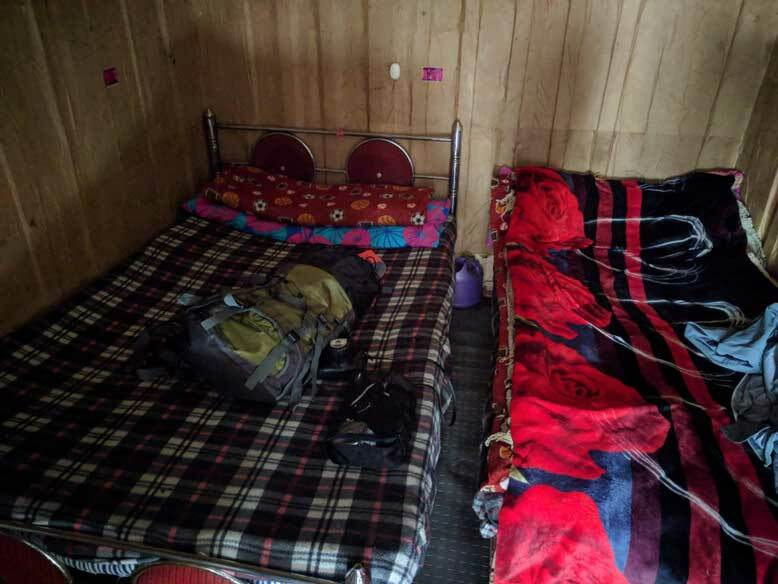 Our bedroom was not heated and night-time temperatures were just above freezing. It takes a lot of blankets to stay warm in those conditions. We woke up early thanks to the roosters who started crowing about 3:00AM right outside our door. If I had my way, there would have been rooster on the menu that morning. During this day's hike, Javier reminded us of tragedy that occured here in 1985. On November 13, the Nevado del Ruiz volcano erupted after 69 years of dormancy. 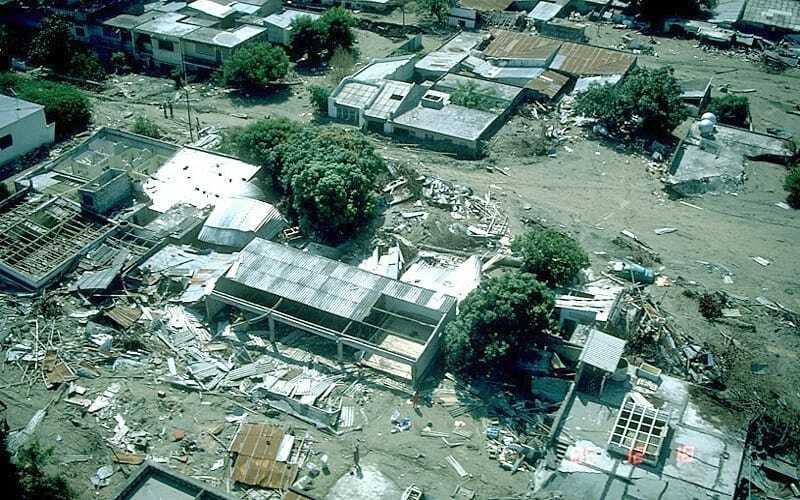 The towns in the valley were engulfed in the resulting pyroclastic flows, resulting in the second deadliest volcanic eruption of the 20th century. More than 22,000 people died including Omayra Sánchez who was photographed, still alive but trapped in the debris of her house. You might remember the heartbreaking photo of her which became a symbol of the failures of local officials in responding to the disaster. 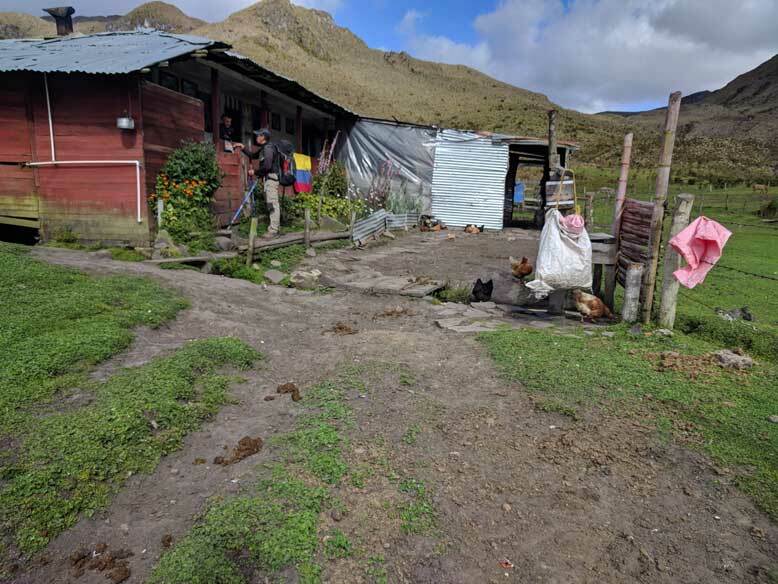 Javier assured us that much had been done since that time to monitor Colombia's volcanoes and to prepare effective emergency measures in the event of an eruption. 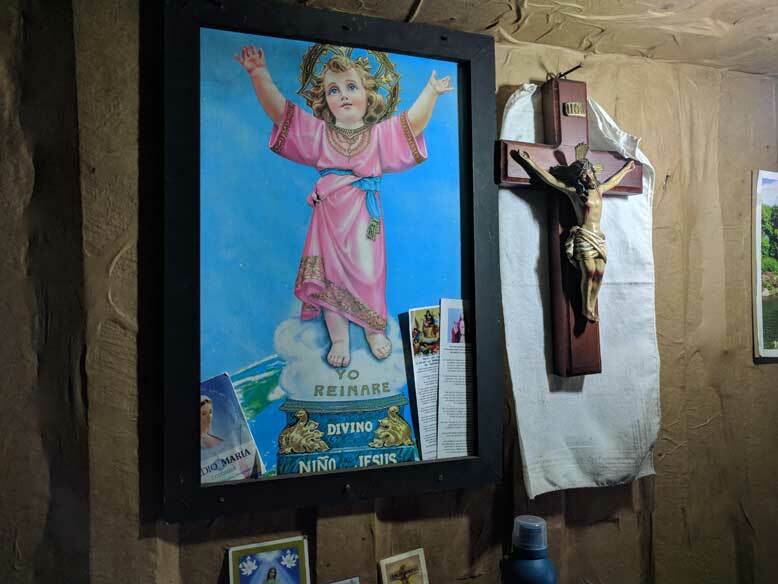 This was the day I nearly disappeared in the Colombian mountains. Okay, I'm being a little over-dramatic but for about an hour an a half, I got separated from Natalie and Javier and I had no idea where they were. Throughout most of our hike, we used well worn paths. These paths have been used by multiple generations of farmers to move products to market, transport supplies and move cattle. At times, the paths are 2 meters below the grade of the surrounding land. Javier and Natalie were moving fast all day and I was lagging behind 20-30 meters at times. At one point, we reached a fork in the path and I chose the wrong fork. Over the next 15-20 minutes, I slowly realized I had lost my guide. Instead of staying put, I backtracked and probably passed them again on adjacent paths. There was never any sense of panic but I have to admit, I was more than a little relieved when I heard Javier yelling my name. It was amazing how much distance we had put between ourselves in so little time. Even more relieved was Javier would have definitely lost a star in his Google review if I had died out there. After being reunited, we continued on at the same relentless pace. 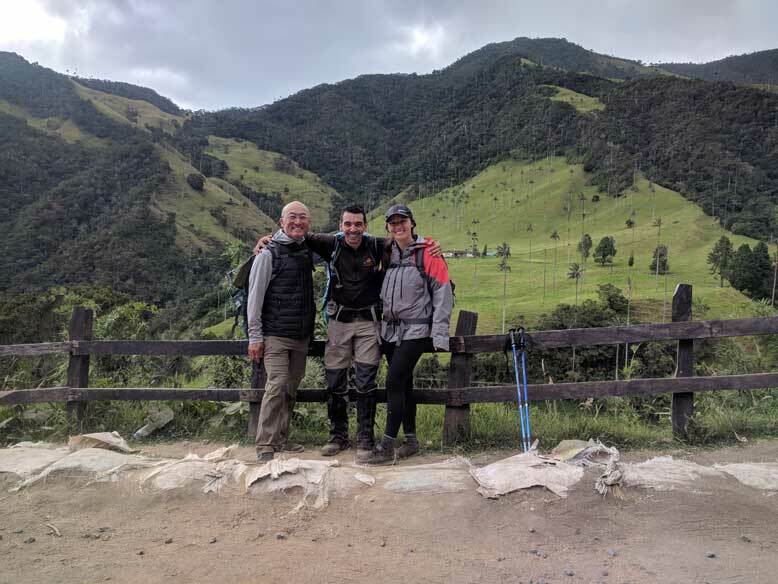 We descended in elevation from the paramos into cloud forest and eventually into the dry Cocora Valley. I was sad to see the hike end but my feet were relieved. During the entire descent from 4,700 meters, my foot was sliding forwards in my shoe and my big toe was taking a beating. Both toenails were bruised and it wasn't long before I lost both big toenails. Lessons I can pass on: 1) Stay with your guide, 2) check your gear for whistles, 3) wear proper footwear. Enjoy your trip to Los Nevados if you should decide to visit.